I was cleaning out a box of old boxes (I love boxes) and found this product box from 1986. 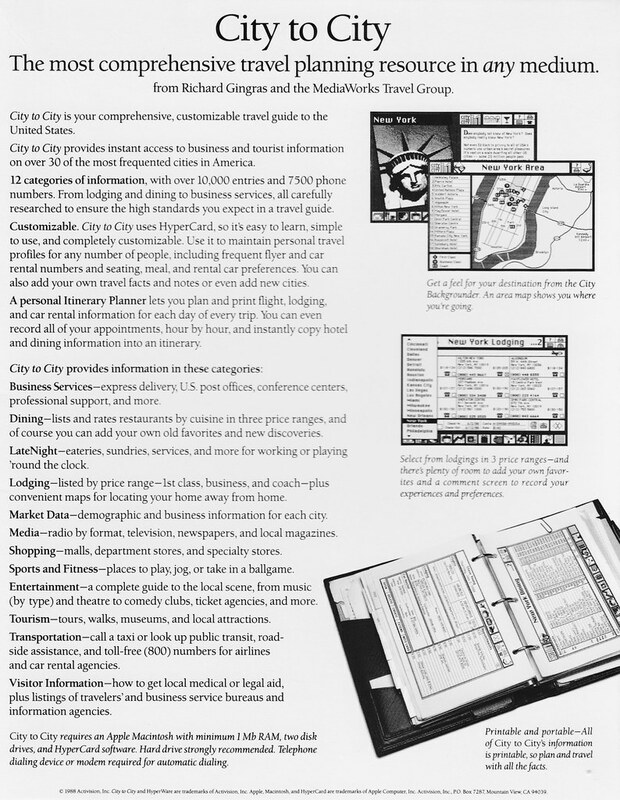 City to City was a travel reference tool that was built with HyperCard and ran on Macintosh Plus computers. 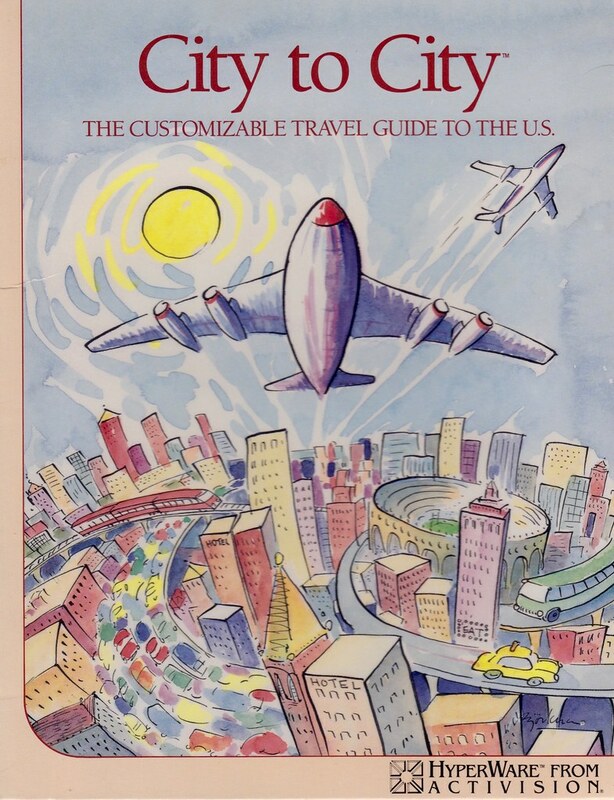 The significance of this is that it was more easily browsed than an atlas or travel book because HyperCard had the capacity to build links connecting different types of information (before the world wide web). Once the web took off tools like this faded away. But, in its day it was a useful tool for those of us who did a lot of travel (I did a lot of travel for Apple in those days). I’m posting two images, one of the cover, one of the back. If this history interests you, read the back to see more about what the world looked like before the web, GPSs and iPhones. This is so cool. What is even cooler that it was developed in 1986 – not so long ago. Think about what has happened since then Jonne. It’s amazing.